Park rangers douse the symbolic last fire of the season at Ocean Beach in San Francisco. The beginning of the first no-burn season at Ocean Beach is approaching, and National Park Service rangers held a symbolic lighting of the last fire Thursday morning. Starting Tuesday, recreational beach fires will be prohibited at the beach in the Golden Gate National Recreation Area through the end of February. The area's no-burn season coincides with the Bay Area Air Quality Management District's winter Spare the Air season, when air pollution from wood burning and other sources can reach unhealthy levels in the Bay Area. 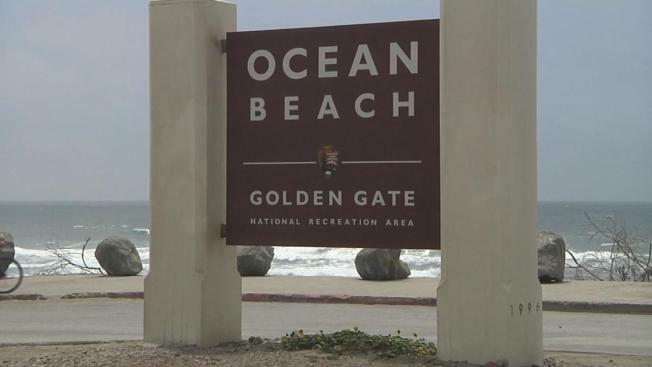 In addition to helping air quality, the four-month ban will allow park maintenance crews to remove the Ocean Beach fire pits for thorough cleaning, the GGNRA said. The no-burn season is part of the Ocean Beach Fire Program, which went into effect April 1. In addition to the no-burn season, the program includes the addition of four fire pits at the beach, bringing the total to 16 for use during the burn season. For more information about the Ocean Beach Fire Program, visit the GGNRA section of the National Park Service website.